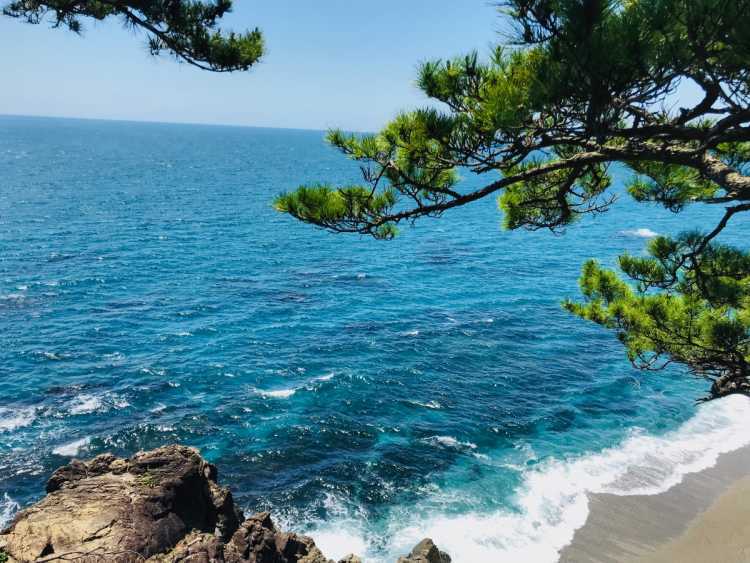 Katsura-hama is famous as a scenic moon-viewing spot, and said to be loved by Ryoma Sakamoto who is a historical figure who played an active role at the end of the Edo period. 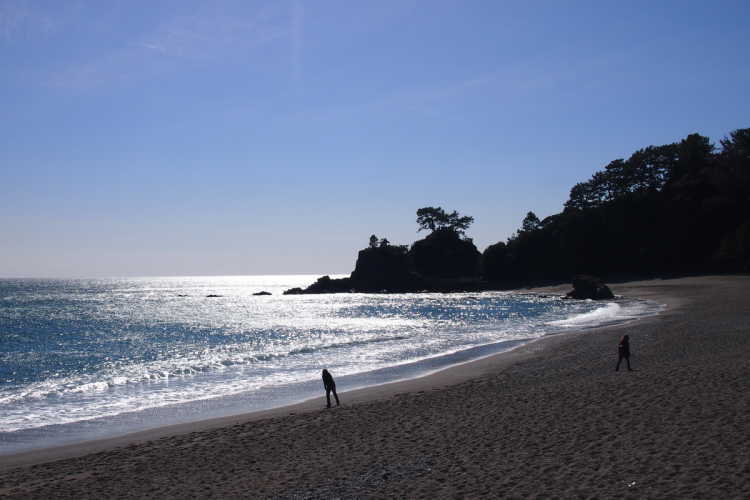 It commands the whole view of The Pacific Ocean, and we tour the statue of Ryoma Sakamoto, and some souvenir shops. The beach is kept in good repair, and the shining horizon looks very romantic and beautiful from here. Good for a date. 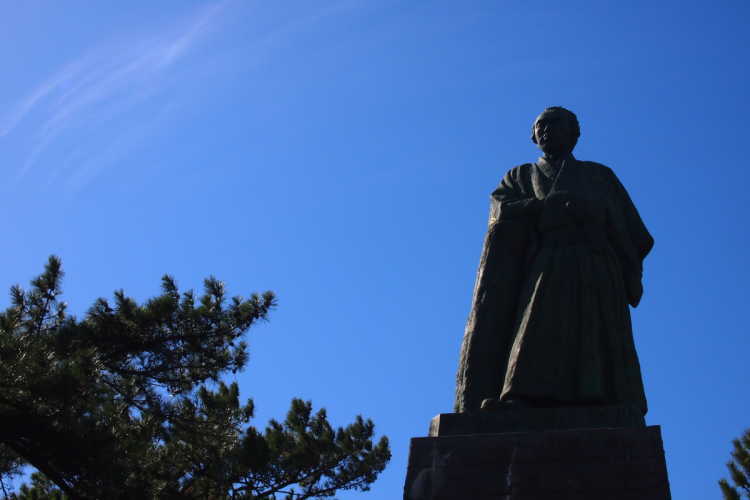 13.5m statue of Ryoma Sakamoto is on the small hill top. He's a famous and popular great man born in Kochi. The Pacific Ocean looks very beautiful from here.